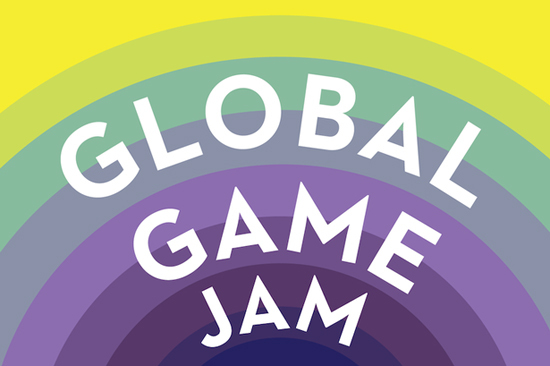 Abertay University is staging the biggest Global Game Jam event in its history signalling the start of celebrations to mark 20 years of video games courses. A group of 220 students, graduates and Scottish games industry professionals arrived at the Dundee campus around 5pm on Friday January 20 to play their part in a worldwide 48-hour challenge that links China to the US and Macedonia to Mexico. This year marks two decades since Abertay became the first in the world to offer named degrees in computer games development and a major programme events is to unfold in the coming months. Lynn Parker, Computer Arts programme leader has organised the Abertay Global Game Jam event alongside Division Leader Dr Dayna Galloway, Teaching Fellow Kayleigh MacLeod, PhD student Mona Bozdog and two student assistants. More than 700 sites across over 100 different countries are taking part and it is the fifth time Abertay has hosted the main Dundee meet. Teams are challenged to come up with ideas for new games, pitch them and create them over the course of the event. Lynn said: “The participants are a mix of students, graduates and friends in the industry so our current crop of students get the benefit of meeting people who have been through the course at Abertay and gone on to set themselves up in business. Jams start at 5pm each nation’s local time, spreading across the globe until the last designers begin in Hawaii. The theme is always kept under wraps until kick off and there is a social media blackout until all sites have begun. After that participants share their ideas, inspirations and innovations in real time using the hashtag #GGJ17. The Abertay event concludes with an awards ceremony on Sunday evening. Abertay offers undergraduate courses in Game Design and Production Management, Computer Games Technology, Computer Arts, Sound and Music for Games and Computer Games Application Development. Postgraduate courses including MSc Computer Games Technology and MProf Games Development are also available.